Over the last few weeks I have read in numerous places about the likelihood of a recession hitting us in the next year or so. The last time recession struck there were tens of thousands of companies stuck with inflexible, expensive long term HR services contracts they were unable to get out of or renegotiate. Don’t let this be you with a recession looming! There are many providers who continue to support their clients on a pay as you go basis rather than within the constraints of an inflexible contract. So, first things first, what experience do you have in the business generally of recession? Any supervisors or managers you have under the age of 30 won’t have experienced it. 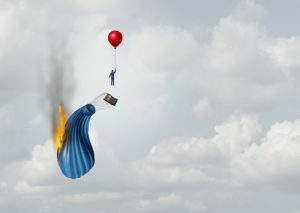 Anyone who is now a supervisor or manager, but wasn’t yet promoted to such dizzy heights in 2008-2013 won’t have experienced the stress of managing through a recession. Once you know what experience you’ve got and where, you can see if you need to bring in more experience and to which functions. During a recession, recruitment and retention will most probably cease to have the importance they currently do. But your energies might instead need to focus on managing conflict, dealing with grievances, supporting with stress if you make redundancies and as a result have fewer people doing more work. How good are you and your managers at managing conflict? Perhaps a burst of energy to train up great communication skills (including the art of listening), confidence to manage sensitive issues, managing grievances and conflict management would really bring value to the business? Your life will also be easier and your margins maintained if your costs are under control. So why not do a review now of your benefits…what is valued? What wouldn’t really be missed if you removed it? What has escalated in cost in recent years? If you had a blank piece of paper what would a new look benefits package include? What will add significant cost to redundancy packages if you have to make staff redundant and what alternative benefits won’t add cost in? Take a look at salaries too. Who have you been recruiting in recent years? At what levels? Looking in from the outside, is there anyone on what might be considered an inflated salary? If you pride yourself on paying above market rates, that’s amazing for your staff, but lousy for your purse if you have to make staff redundant or they subsequently sue you for loss of earnings if, after being made redundant, they can’t find a business that will match their previous salary. I’m sure you all know that if you make staff redundant or your business merges with another that there are consultation requirements. But rather than appoint and/or train your staff reps (as the law requires you to do) in a panic, book some training in now so that you have a body of people in your business who are ready and able to share the load when it comes to communications, consultation etc. Don’t delay this training until you’re about to explode with stress part way through a redundancy project. And finally, my view is that the more technologically enabled you are as a business (assuming you have not got crazy interest rates external financing to fund it) the more likely you are to be able to ride out the recession than your competitors. But don’t forget you need staff who are technologically competent too, it can’t be all about the hardware or software…you need confident and competent people too. There is endless research out there that tells us that a lack of technology skill is going to cripple some businesses. Don’t let it be yours too. Budget for training and make that training a priority whilst money is still flowing. If you are interested in finding out more on this topic, read our blog on digital literacy in the workplace. That’s about how much money can be made available in the business to bail you out during the tough times. Too much debt and the liquidity score for your business will be too low. Why not check out your businesses long term debt by looking at the Balance Sheet in your company accounts available from Companies House? Check out Companies House to see whether your company has been filing its accounts on time. Not filing could mean your directors and/or finance function are in a mess. Consider too whether your board of directors are good at decision making. Do they take decisions quickly or are they known for their hesitancy and endless delays? If your business has a lower net profit margin than your industry average and most of your competitors, then you might be the first in your sector to hit the skids. Why do others have a better profit margin? Perhaps they have their staff costs better under control or their directors are not so highly rewarded? Perhaps your business has too many inflexible long term contracts and it’s costing too much? On the flip side, perhaps your business has been investing more heavily for the future whilst your competitors are stagnant? I apologise for not giving you many answers here, but hopefully a little food for thought! There is no harm in doing some planning and thinking just in case recession does become a reality. Get rid of those long term inflexible contracts such as for HR services, review your benefits, give bonuses rather than pay hikes, think subcontractors rather than increased headcount, train in the essential skills for managers and directors and keep an eye on your competitors! Tough times ahead but the savvy and endlessly adaptable businesses will get through! Comments, feedback and ideas all valued! Next StoryAm I a monster because I’m prejudiced?